The Browns haven't won a game since Christmas Eve 2016. At least their next win will result in free beer. The Cleveland Browns have not won a regular season game since Christmas Eve 2016. That’s also their only regular season win since December 13th, 2015. That’s not great! 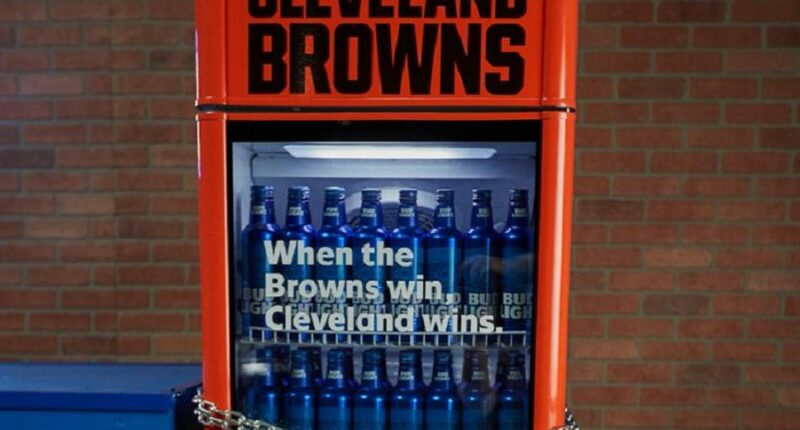 That’s the context necessary to understand why Bud Light would partner with the Browns on ten special fridges stocked with beer that will open as soon as the Browns win their next regular season game, offering free Bud Lights to any long-suffering Browns fan in the vicinity. Several of about 10 Bud Light Browns ‘Victory Fridges’ approximately 8 feet tall – “they’re not small dorm sizes, they are full size,” Goeler said – will be put inside FirstEnergy Stadium. The remainder will be positioned around the city and in suburban areas, in places where patrons need to be 21 or older. The fridges will open regardless of whether the victory is at home or on the road. Now, if the fridges don’t end up opening this season? That would definitely be a self-own, and the latest in a long line of them. But that’s the darkest of all possible timelines, one so grim it’s not even fun to contemplate as a neutral observer. Please win at least one game, Browns.